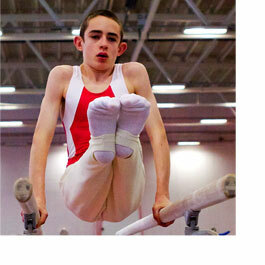 We offer gymnastics for disabled people in Artistic, Rhythmic, Acro and Trampoline. The programmes we work to are the best in the world and the gymnasts gain so much from taking part. The whole emphasis is on achievement and participation. To work with disabled people is not difficult, it is a matter of adapting your basic coaching skills to enable them to take part. There is always help available to you if you have problems by contacting the Chair of the Technical Committee. As a region we offer all kinds of competitions which can be regionally based or at National level and there are National squads set up for those showing potential.